Mortgages can be expensive, but there are ways to save. For most people, a mortgage is the largest single expense they will ever have. 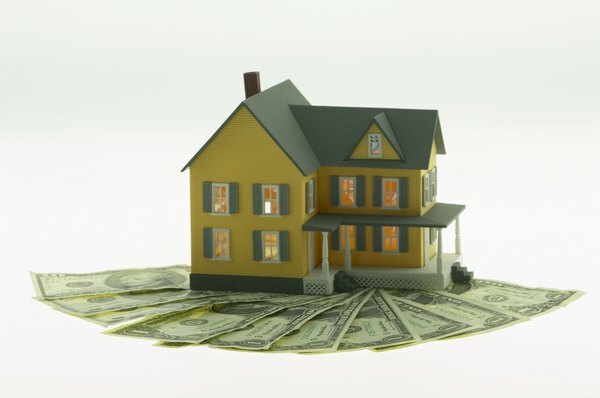 In 2012 the average mortgage amount rose to $235,000, according to HousingWire. Including average closing costs and a 3.5 percent mortgage rate over 30 years, that home can wind up costing close to $400,000 by the time the mortgage is paid off. Fortunately, you can use some tactics to keep your total mortgage costs as low as possible. Clean up your credit before you start shopping for a mortgage, as a higher credit score can qualify you for lower interest rates. MyFico.com reports that a FICO score in the range of 620 to 639 might mean you'd be charged more than 4.5 percent on your mortgage, but a score between 760 and 850 could qualify you for rates as low as 3 percent. On a $235,000 30-year mortgage, that difference means roughly $75,000 over the life of the loan. Shop around for the best deal on a mortgage -- especially if you have a stellar credit rating. Prepare to negotiate on the closing costs once you have chosen a lender. Review the lender's "good faith estimate" that breaks down your closing costs. Ask which fees are imposed by the lender, and which are charged by third parties. Talk to your lender about reducing its fees, and shop around for the best rates on third-party costs such as title insurance. Save on total interest by reducing your capital over time. Because of the way lenders amortize your mortgage loan, you can save big by paying a little extra each month toward your principal amount. If your salary is structured so that you receive a large annual bonus, consider making one additional lump-sum payment each year. On a 30-year fixed-rate $235,000 mortgage at 3.5 percent, you can shave five years off of the life of your mortgage and save more than $23,000 in interest charges by paying an additional $100 per month. Pay an annual additional amount of just $2,500, and you’ll save eight years and almost $40,000. Get rid of any private mortgage insurance costs as soon as possible. Most lenders require this insurance if your loan is for 80 percent or more of the appraised value of your house. When you buy the home, you might not be able afford the 20 percent down payment that would avoid this charge. But you should pay down your mortgage as early as possible until your principal is reduced to 80 percent. If you can afford a higher mortgage payment, consider a 15-, 20- or 25-year mortgage instead of the traditional 30-year loan. On a $235,000 mortgage at 3.5 percent, the difference between a 15-year and 30-year mortgage means payments that are more than $600 per month higher. But you would save more than $77,000 in interest over the life of the loan. The Mortgage Professor: What Is the Real Cost of Mortgage Insurance?